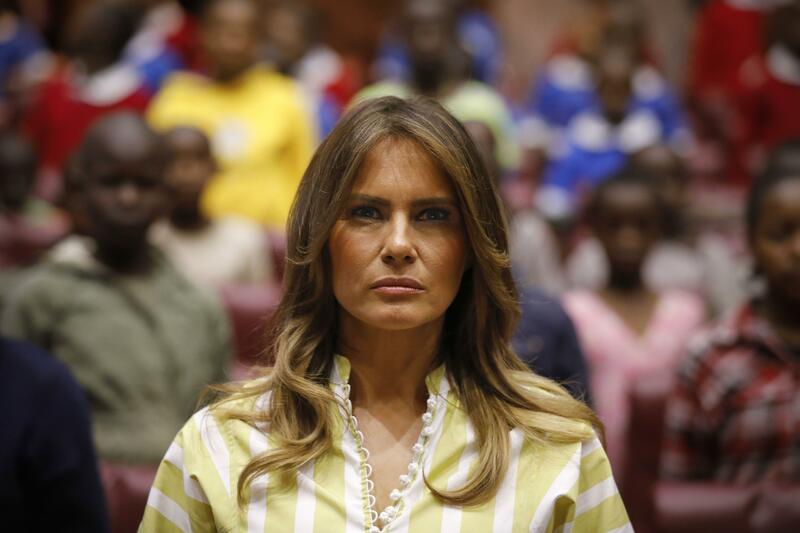 First lady making a statement on Africa trip? First lady Melania Trump, whose "Be Best" campaign focuses on the well-being and bullying prevention efforts of young children across the country, says she considers herself to be one of the "most bullied" people in the world. In excerpts of a wide-ranging interview set to air on ABC News on Friday, Trump also discussed an environment of distrust in the White House as an area of concern. "I could say that I'm the most bullied person on [sic] the world," the first lady said. "One of them -- if you really see what people are saying about me." She said the personal connection is one reason that led her to focus on educating children on best practices for social media and online behavior. Trump did not cite specific examples of acts of bullying against her. Trump spoke to ABC News during her recent trip to Africa where she interacted with babies and school-aged children in an effort to raise awareness of her personal initiative as first lady. The first lady also revealed that there have been several people within her husband's administration whom she did not trust. She admitted that such discord makes it "harder" to govern, adding "you always need to watch your back." Trump also told ABC that she's been forthcoming with her husband about those she doesn't necessarily trust, saying "some people, they don't work there anymore." "I give him my honest advice and honest opinions, and then he does what he wants to do," she added. Trump noted, however, that there are still those working in the White House right now that Mr. Trump can't trust. Her description of an embattled White House appears to mirror that of the president's own son Donald Trump Jr., who also spoke to ABC News last month about the president's shrinking inner circle. "I think there are people in there that he can trust, it's just — it's a much smaller group than I would like it to be," Trump Jr. told ABC. Without naming names, Trump Jr. said that group still included some outside the family, as well as his sister Ivanka and brother-in-law Jared Kushner, who serve as White House advisers to the president.